When traveling, I am always on the lookout for places that feel like home. A place where I feel welcome to return to at any time, the staff greeting me with a smile as usual. 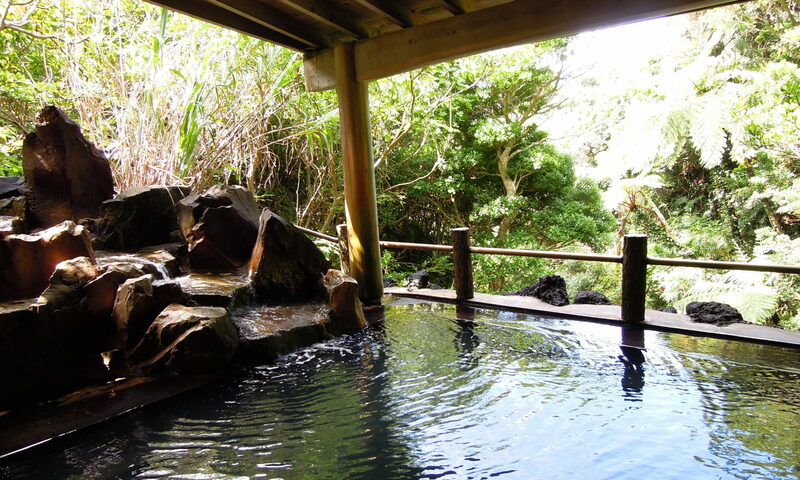 One such a place exists just five minutes away from Motomachi Port on Oshima Island, the largest of Izu Islands. Both an inn and a restaurant, the staff at Friend House are always waiting for your return. 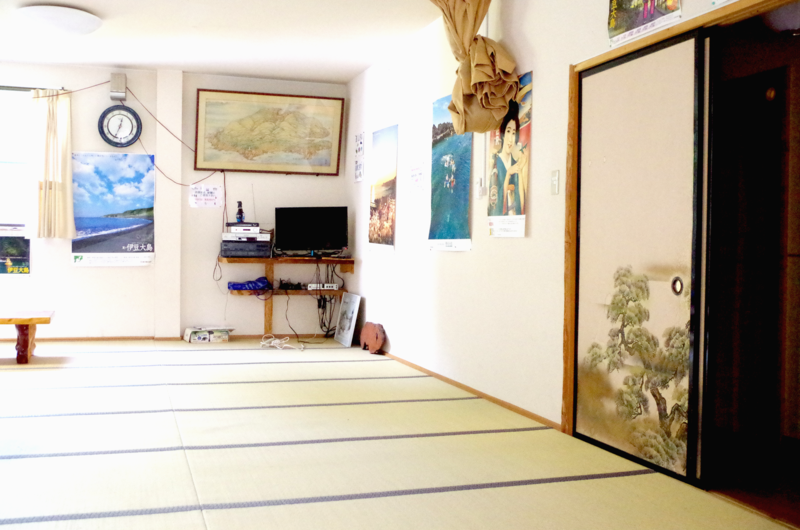 Friend House is situated just 5 minutes drive from Motomachi Port, or 10 minutes from Okada Port. The restaurant and accommodation stand side by side, and catching a glimpse of the outside barbecue space, my anticipation rises. There are 3 types of rooms. One designed to accommodate three guests, another for five, and the third for 10 or more. Each room is thoughtfully designed by the owner with care. For example, each and every room is detached from the others so that the guests can go in and out without minding the other guests. My personal recommendation is the largest room designed for those traveling in groups. Why? Because this is the only room fitted with a bathtub made of hinoki (Japanese cypress). There’s even a karaoke box, and for those who aren’t so comfortable about the idea of sleeping in the same room as so many others, there are partition curtains and even a bed. The room is designed thoughtfully so that guests of all preferences can have a good time. 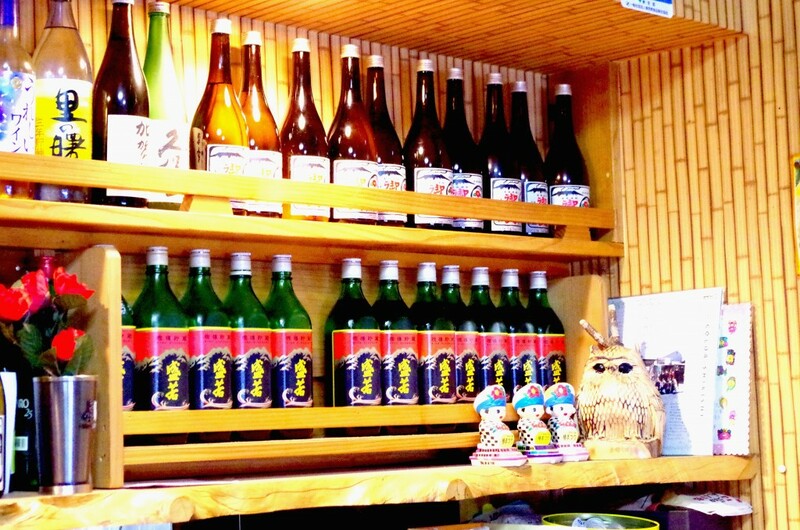 You get a sense that the owner put much love into this. 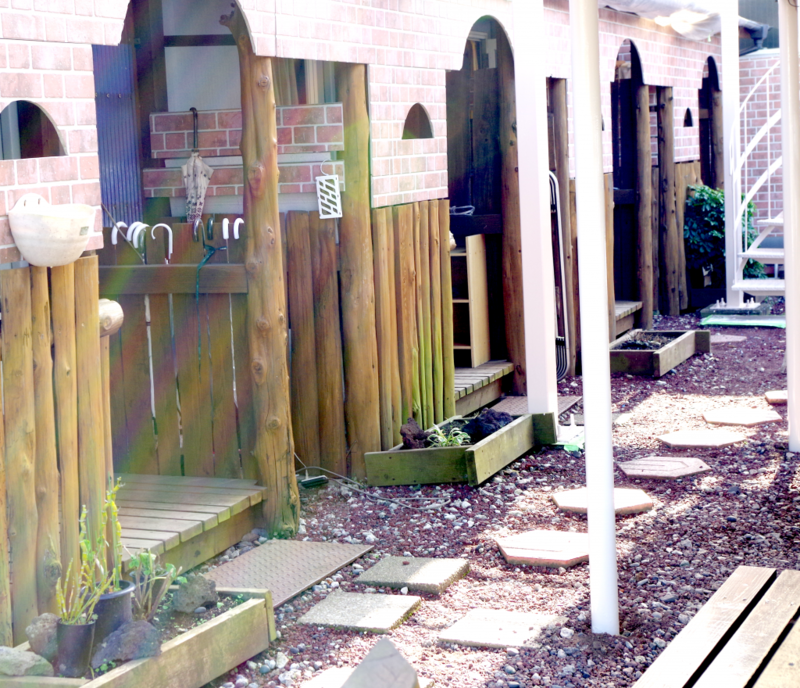 As the owner himself is a fishing aficionado, he set up an outdoor barbecue space which allows guests to grill whatever fish they may have caught out in the sea. There’s nothing better after a day of fun activities than to be surrounded by your best friends while barbecuing and having a good laugh. I love to swim in the summer. Here, there’s a shower and toilet set up just outside your room, so you can rinse yourself clean before you go into the room. Great amenity for those who love outdoor activities. 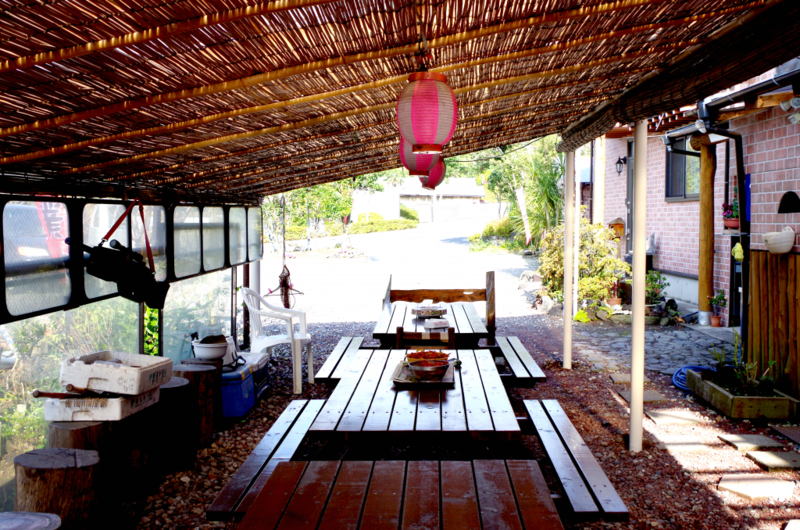 Oshima Island is a haven for fishing fans, and the owner is just one of many who moved here to devote himself to fishing, while also being captivated by the island. “I opened Friend House out of a desire to create a hub where visitors could feel welcome to come back at any time” the owner told us with a smile. In fact, many return, and a surprising number come back year after year. The warm character of the owner creates a safe space for them all. Adjacent to the accommodation is the restaurant. 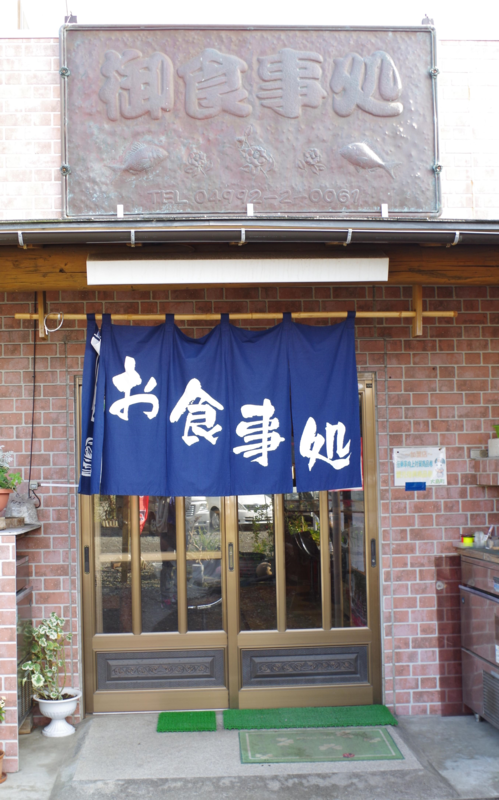 A noren (traditional Japanese curtains hung at the entrance to shops) hangs at the door creating a welcoming feel. 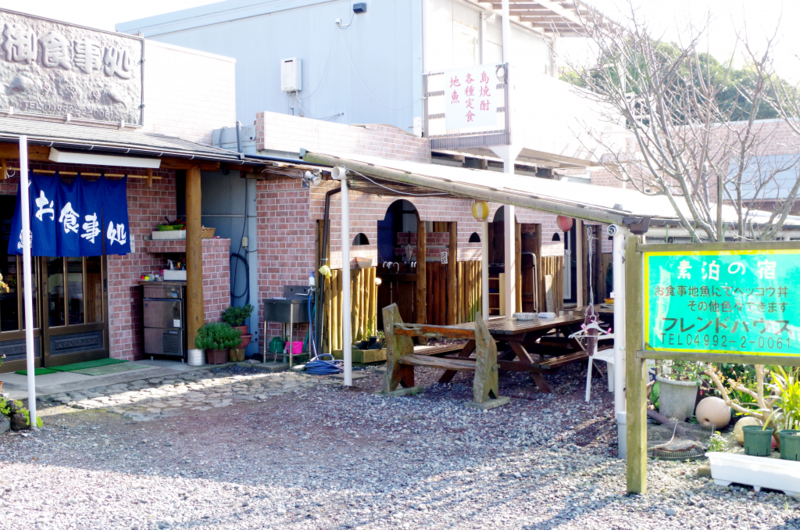 The restaurant serves food prepared using fresh local ingredients. Try the sashimi skillfully prepared using fresh locally caught fish, and even if you’re not a fan of raw fish, fear not as the menu has a wide range of other items. 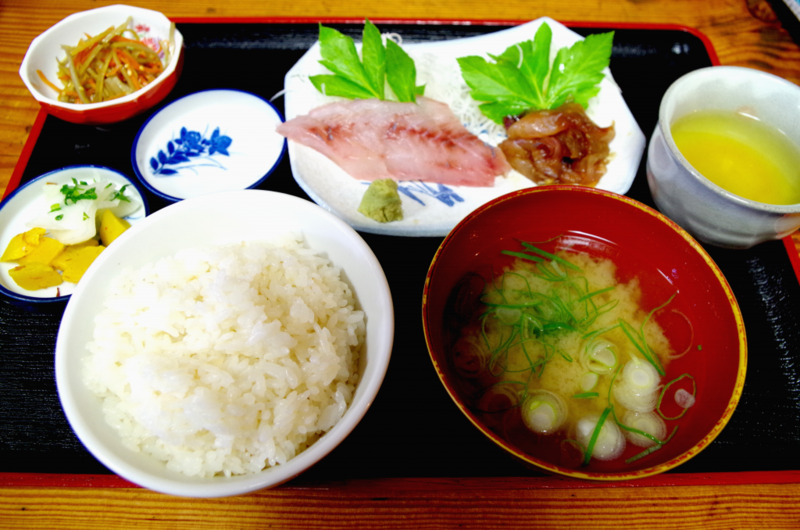 I ordered the local fish set, served with two types of fish including Bekko, a local specialty of white fish marinated in soy sauce and chili. 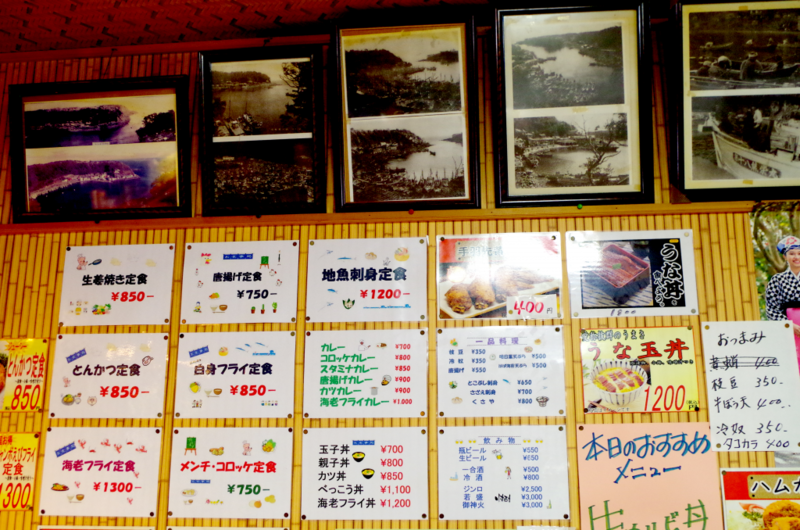 They also serve Bekko-don (rice bowl), and Tokobushi, a type of abalone hard to find in Honshu. There’s also Japanese curry, karaage (Japanese fried chicken) and oyako-don (chicken and egg rice bowl), all dishes worth trying on your visit to Japan. A place you would want to come back to time and time again. There is comfort to be found in the timelessness of it all. This may just become your second home.